Marriage can change your rights with regard to inheriting property -- both the inheritances you receive while married and inheritances you receive after your spouse dies. Iowa law protects inheritances you receive while you are married and gives significant rights to the surviving spouse. It is important to understand how these laws apply to your situation. Iowa does not consider inheritances to be marital property, which means they are not divisible by a court in a divorce. So, if you receive an inheritance—before or during your marriage—it is your separate property and cannot be given to your spouse if you divorce. 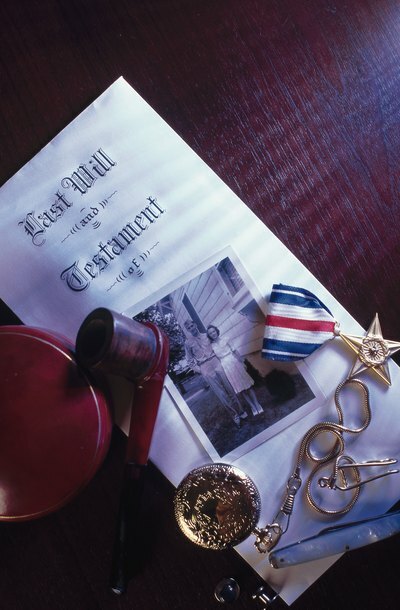 However, if you commingle—or mix—your inheritance with your marital property, a court may decide the inheritance has lost its special status and has become divisible. For example, if you inherit money but then combine that money with marital property and use the combination to purchase a house, the inheritance money has become too mixed with marital property to protect it from division upon divorce. If you create a valid Iowa will, your beneficiaries will usually inherit as described in your will. For your will to be valid, you must have the capacity to sign it, meaning you’re at least 18, of sound mind and able to understand what you are signing. Your will must also comply with Iowa’s legal formalities, such as being in writing and witnessed by two qualified witnesses. If you change your mind about your beneficiaries, you can change your will at any time by creating a new one. In Iowa, surviving spouses are permitted to choose between what they would inherit under a deceased spouse’s will and what they would inherit by Iowa’s "elective share" law. The elective share law provides that a surviving spouse is entitled to one-third of certain estate assets, such as real property and personal property that isn’t sold to pay the deceased spouse’s debts. Sometimes, this elective share is more beneficial to the surviving spouse than what was left to her under the will. For example, if your will states you want your estate evenly divided between your three children and your surviving spouse, your spouse’s share under the will would be one-fourth; in this case, your spouse might elect to take the one-third offered by state law rather than the one-fourth offered in your will. If you die without a will, Iowa law will determine how your property is distributed after your debts are paid and any jointly-owned property is distributed to the other owners. If your spouse survives you and you did not have any children from another partner, all of your property will go to your spouse. If your spouse survives you but you have children from another partner, your spouse will inherit half of your property—or at least $50,000—and your children will share what remains equally. Does My Spouse Inherit Property if We Separate? Daniel W. Willems: Why Should I Have a Will? When you undertake estate planning, you may not want to transfer assets to your wife. The degree to which you may want to deny assets to your wife upon your death may vary. You may only want to keep certain assets from your wife so that your children receive them because those goods mean more to them. On the other hand, you may not want to leave your wife anything at all. If you are married at the time of your death, your wife generally has a right to a portion of your estate. You can leave specific assets to other beneficiaries. The degree to which you can keep your wife from inheriting your assets depends on the state in which you live.